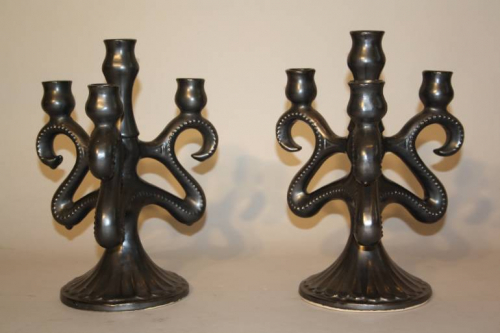 A pair of black glazed ceramic table candelabra made by Maine, Sars Poteries in France. This is an area in the North of France close to the Belgium border and was established from 1862 until 1972. They are in perfect original condition. Signed to the base.